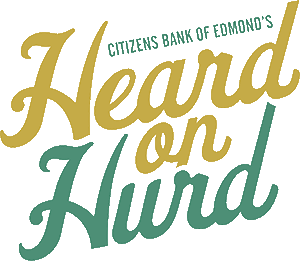 ACM alumni The Ivy and Mallory Eagle will be performing at the Citizens Bank of Edmond’s “Heard on Hurd” festival Saturday, March 17. Heard on Hurd prides itself on being an authentic block party-style festival open to the community. Food trucks, shopping and live music are hosted once a month through March-October. Family and pet-friendly, the goal of Heard on Hurd is to promote community involvement and bring in diverse vendors and audiences. Learn more about Heard on Hurd here.